It’s impossible to measure someone’s pain and suffering. These are subjective damages. How can we measure one person’s pain and suffering over another. Is the suffering of Person “A” more than the suffering of Person “B”. Why or why not? These is a very difficult question to answer, and a very difficult head of damage to quantify. 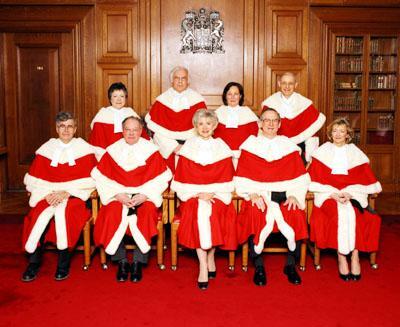 By capping damages for pain and suffering, the Supreme Court of Canada made those damages a bit easier to quantify by virtue of setting a ceiling to such damages. In addition, the Supreme Court did not want to end up with a situation like we see in the United States where there is no ceiling for pain and suffering. I understand to logic and reasoning with this, BUT I don’t agree with it. I believe that the caps on damages for pain and suffering doesn’t adequately compensate accident victims for the negligence or malicious acts caused by wrong doers. $356,000 is a lot of money, but it really isn’t if you know what I mean. A max award for general damages is very rare. Those awards are reserved for only those who are catastrophically injured as a result of an accident or wrong doing. So, knowing that around $356,000 is your ceiling for general damages, receiving less than that is hardly satisfying to any accident victim or their family. Making matters worse for clients is that the Ontario Government, at the request of large insurance companies of course; has instituted a $30,000 deductible for claims under $100,000 in car accident cases. That means that the first $30,000 of your award for pain and suffering VANISHES. So, if a Judge at trial awards you $40,000 for your pain and suffering, it’s really only just $10,000 after the $30,000 deductible is applied. When the Supreme Court of Canada established a cap for general damages, there was not such deductible around for car accident claims. This further hinder the ability for innocent accident victims and their families to get the compensation which they deserve. Quantifying general damages is done through precedent case law. This means that Judges look back in to the past to see what others have been awarded, and base that figure on those historic awards. Is it a perfect system? No. Not at all. But it certainly makes good sense to see what was done in the past, and base future awards on those past awards. A lawyer who dabbles in personal injury law and who really doesn’t know what they’re doing might ask an insurer and defence lawyer at mediation for $100,000,000 in damages for pain and suffering. The insurer knows that this figure cannot be attained at law in Canada based on what the Supreme Court of Canada ruled long ago. The insurer scoffs at this offer and sends back a counter offer of ZERO. The parties are so far apart that a deal never gets done, and the Plaintiff has to wait years and years and years for their trial date. When the trial finally comes around, the Plaintiff wins, but far less than what they thought they should have won because they didn’t understand how the laws work in Ontario, or how damages are quantified for personal injury cases. All of the above noted examples are extremes. But, it’s still very important for client to understand how the laws work, and how Courts view and quantify injury cases. If you fail to understand these concepts, you won’t understand how your case is being dealt with or viewed by the insurer, by the Court or by the Judge and Jury. Enough law talk? Sure. My favourite story of the day has to be the reports of Rob Ford getting kicked out of advance polling stations in the City of Toronto. Now remember, he’s still the Mayor and should have “Mayory” things to do. Instead of working or letting campaign volunteers do their job, he’s out driving and old lady to a polling station so that she can vote (presumably for Doug Ford). I know for a fact that Rob Ford and Doug Ford have an army of campaign volunteers. Wouldn’t you think that one of their campaign volunteers could have done this? Instead, Rob Ford decides to do the job on his own. Remember, he’s still Mayor. I view Mayor as almost a 24/7 sort of job. I would rather the Mayor be WORKING, rather than taking an old lady to the polls (presumably to vote for his brother). Candidates should NOT be at the polls, other than to cast their own vote. Their presence at the polls is a way to influence voters. It’s not right, and it’s just in bad form.